Hi Stampers, Today my share is using the Painted Petals Stamp set and Painted Blooms paper again. It is amazing that you can use this fun set and make each card look so unique. My last post was made with the same stamp set but each card looks so different. I would love to hear about the cards you make. Try making two cards with the same stamp set and see what you come up with. Happy Stamping. Butterfly: Blackberry Bliss, 3.5 by 3 cut with the Butterfly Framelits. Stamp set: Painted Petals and matching Butterfly Framelits. To make the flower spray on the circle I used the stamping off technique. I would stamp my first set of flowers in full strength daffodil delight and before I would re-ink, I would stamp a second set of flowers. This makes the flowers have more dimension and depth. I repeated this 3 times to get the desired bouquet for my card. I repeated the same process for the leaves using the Wild Wasabi. The sentiment is inked using Blackberry Bliss using the same stamp set, Painted Petals. The circle is attached with dimensionals to raise the art piece up a bit. If you would like to make this card and do not have a demonstrator I would be happy to help you. You can visit my on-line store by clicking the shop with me button or contact me and I would be happy to help you. 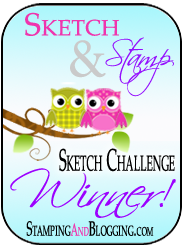 This entry was posted in Painted Petals, Stampin Up Painted Petals, Uncategorized. This is simply beautiful Kristi! The colors are just stunning and I love the layout! Thank you Amy. This was the card I made for Sandi for her card bomb. I love the painted petals stamp set.